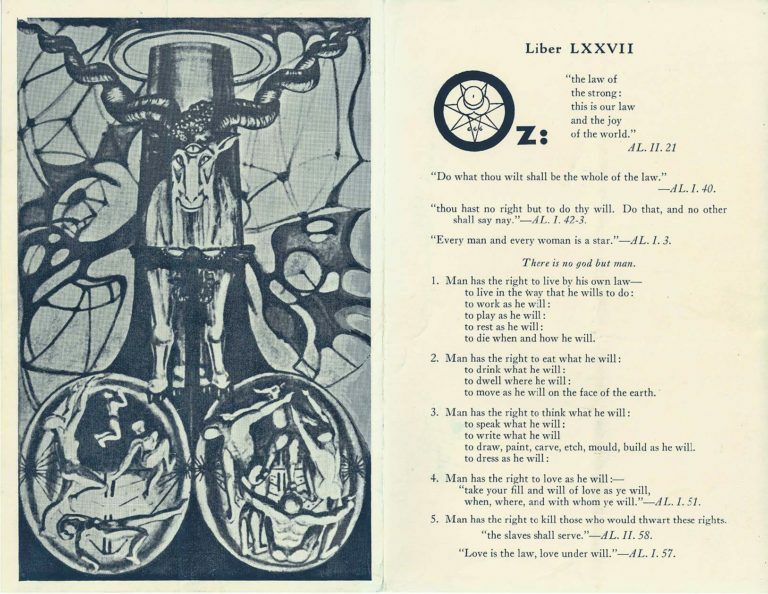 The first American edition: A single sheet of glossy paper measuring 9½” × 7¼”, printed in all black ink, & folded once to make four pages. 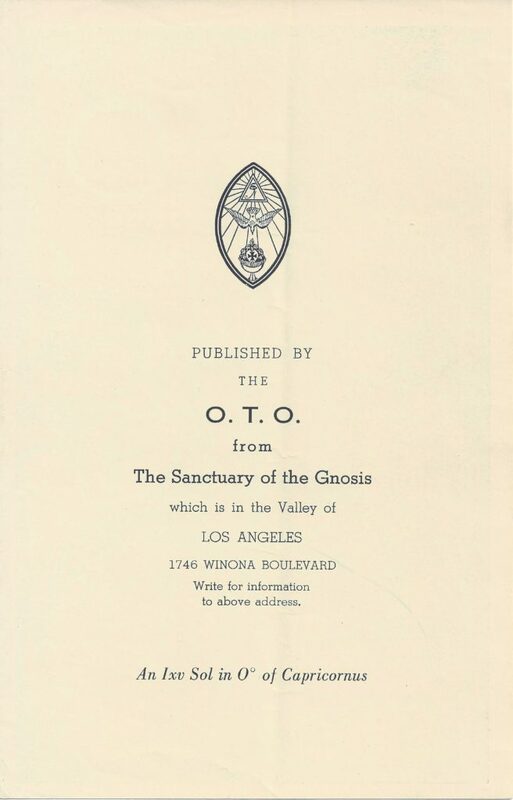 Printed by Wilford Talbot Smith from the valley of Los Angeles, CA & published from the Sanctuary of the Gnosis and bearing the lamen of the O.T.O. on its cover – 5,000 copies were printed. Listing the publication date as “An Ixv Sol in 0° of Capricornus” – as per the first edition, but known to have been printed at a later date—approximately on the 1st of February, 1942.